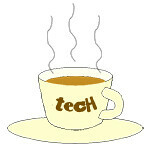 Austria 2014 « Tech bytes for tea? Easter is a special day for Christians to celebrate the resurrection of Jesus Christ from the dead – three days after his crucifixion and death at Calvary on Good Friday, as depicted in the New Testament of the Bible. Relief on the metal door of the Salzburger Dom (Salzburg Cathedral). Assuming the inscriptions are in Latin, Google Translate says that “IN TE SPERAMUS” means “wait for you” or “we trust in you”. Photo taken with a Sony A7 with Vario-Tessar T* FE 24-70mm F4 ZA OSS full-frame E-mount zoom lens. Photo credit: John Tan. The above photo was taken of the door of the Salzburg Cathedral when I visited Austria last summer in 2014. I hope my Christian friends had a spiritual and reflective Easter today. Photo of the Day: Hohensalzburg Castle is named “Festung Hohensalzburg” which means “High Salzburg Fortress” in English. The fortress is built on top of of a small hill in Salzburg, overlooking the historic Austrian city. * Information for this article was from Wikipedia. View of Fortress Hohensalzburg from Kapitelplatz at the foot of the hill upon which it is built. Photo taken with a Sony A7 with Vario-Tessar T* FE 24-70mm F4 ZA OSS full-frame E-mount zoom lens. Photo credit: John Tan. Construction of the fortress began in 1077 at the behest of the Prince-Archbishops of Salzburg. With a length of 250m (820ft) and a width of 150m (490ft), Fortress Hohensalzburg is one of the largest medieval castles in Europe. View of Salzburg City from the Fortress Hohensalzburg with the Altstadt (old town) in the foreground. The Salzburg Cathedral (Salzburger Dom) is in the centre with the Salzach River flowing in the background. The golden globe statue in front of Cathedral was where the above photo of the fortress was taken from. Photo taken with a Sony A7 with Vario-Tessar T* FE 24-70mm F4 ZA OSS full-frame E-mount zoom lens. Photo credit: John Tan. Good Friday commemorates the crucifixion of Jesus Christ at Calvary. It is a religious holiday observed primarily by Christians, and is a public holiday in many countries, including Singapore. We were trekking from the Salzburg Fortress to the Nonnberg Abbey one evening on vacation when we came upon these beautiful altarpieces set into the rock surface of the hill upon which the fortress was built. There was even a shelter built above the altarpieces to protect them from the elements. Photo taken with a Sony A7 with 24-70mm lens. Photo credit: John Tan, 2014. The year of the crucifixion is estimated to have occurred in AD 33. Here’s wishing our Christian friends a peaceful and reflective Easter Weekend. Photo of the Day: St Peter’s Abbey is a Benedictine monastery next to the Salzurger Dom in Salzburg, Austria. It is one of the oldest monasteries in the German-speaking world. The grand interior of St Peter’s Abbey, which was raised to the status of an Archabbey in 1927. This photo was taken at ISO 1250. * All photos in this article were taken with a Sony A7 full-frame mirrorless interchangeable lens camera, with Vario-Tessar T* FE 24-70mm F4 ZA OSS full-frame E-mount zoom lens. Photo credit: John Tan. The elaborate altar of St Peter’s Abbey. Photo taken at ISO 2500. St Peter’s Abbey was founded in 696 AD by Saint Rupert, at the site of a church from the early days of Christianity. Until 987, the abbot of the Abbey was also the Archbishop of Salzburg. The current building was built in the Romanesque period in the 13th century, and completely renovated in the Baroque style in the 17th and 18th centuries. The monastery also houses the oldest library in Austria, with some 800 manuscripts and 100,000 volumes. The light within the Abbey was rather dim and I didn’t want to use any flash – so it was a good opportunity to put the reputed low-light prowess of the Sony A7 to the test. We found this beautiful statue of the Holy Mother and Child within St Peter’s Abbey and I looked it up on the Web afterwards. Photo of the Day: We were strolling along a path at the side of a hill one evening when we came across a peaceful lawn that the path overlooked into. Inside the lawn were these two metallic sculptures at one corner, right by the hedge. The two dogs seemed to be frozen in time, and yet looked as if they would come to life anytime and were about to pounce onto something in the lawn. Photo taken with a Sony A7 full-frame mirrorless interchangeable lens camera, with Vario-Tessar T* FE 24-70mm F4 ZA OSS full-frame E-mount zoom lens. Photo credit: John Tan. We had just finished visiting the Salzburg Fortress and were walking towards the Nonnberg Abbey when we came across these metallic sculptures in a quiet lawn. Photo of the Day: The Salzburger Dom overlooks the Residenzplatz in the centre of Salzburg Altstadt (old town). It contains the baptismal font in which Mozart was baptised. According to Wikipedia, during the second World War, single bomb crashed through the central dome over the crossing. Repairs and restoration were only completed in 1959. The Salzburg Cathedral – called the Salzburger Dom in German – is dedicated to Saint Rupert and Saint Vergilius. The interior of the Salzburger Dom. Photo of the Day: Resinzbrunnen is the grand baroque fountain that sits in the middle Residenzplatz – right in the centre of Salzburg Altstadt (old town). We couldn’t resist splashing the water in the fountain as well when we visited the Residenzbrunnen. Photo taken with a Sony A7 full-frame mirrorless interchangeable lens camera, with Vario-Tessar T* FE 24-70mm F4 ZA OSS full-frame E-mount zoom lens. Photo credit: John Tan. It is also the fountain that Maria – in the movie “The Sound of Music” – splashes as she sings “I have confidence in me”, on her way to the von Trapp home. The Residenzbrunnen is located in the middle of the Residenzplatz, one of the most popular tourist spots in Salzburg. Photo taken with a Sony A7 with 24-70mm lens. Sepia effect added with Adobe Photoshop CC (2014). Photo credit: John Tan. Photo of the Day: Nonnberg Abbey (Stift Nonnberg) is a Benedictine monastery in Salzburg, Austria. This was the convent where Maria served as a postulant before she was sent to look after the children of Captain von Trapp in the musical and movie “The Sound of Music”. Graves within the compounds of the Nonnberg Abbey, just outside the Abbey Church. The entrance to the church can be seen in the background. Maria Augusta Kutschera had joined Nonnberg Abbey as a postulant after graduating from college when she was eighteen. My family and I took a stroll to Nonnberg Abbey after descending from the Hohensalzburg Fortress in the evening. We wanted to visit the convent from which Maria came from before joining the von Trapp family. It was really peaceful and tranquil – and free of other tourists. As a postulant, she was requesting admission into the Abbey as a nun, which may or may not be granted. The original plan was for her to look after one of Georg von Trapp’s daughters and return after 10 months to formally enter the nunnery. She eventually went on to look after all of Georg’s seven children and agreed when the latter proposed to her, asking her to stay with him and become a second mother to his children.